Real fashion for real people - that's the motto of eShakti, an online retailer of women's clothing. When I was asked to review one of their pieces, I jumped at the chance. I've been trying to incorporate more dresses into my mama wardrobe, and their line of feminine and flattering styles seemed like a perfect fit for me. The best feature of eShakti is the customization option. All of their clothing is offered in sizes 0-36w. You can order off their standard size charts, or put in your measurements if you are hard to fit. I also gave them my height - can't say I've ever had an online retailer ask me that before! You can change the sleeves or the length with a click of your mouse. I have to admit I had a very difficult time choosing a piece to review - everything was so pretty! I eventually went with this Polka Dot Print Keyhole Dress, because well, polka dots. I kind of love polka dots. The dress is a lightweight, cotton voile, perfect for summer outings or with a sweater in the spring. The banded empire waist is very flattering, and best of all, there are pockets. Polka dots and pockets = perfection! The dress is machine washable (always a bonus), and didn't wrinkle at all on a date with my hubby. 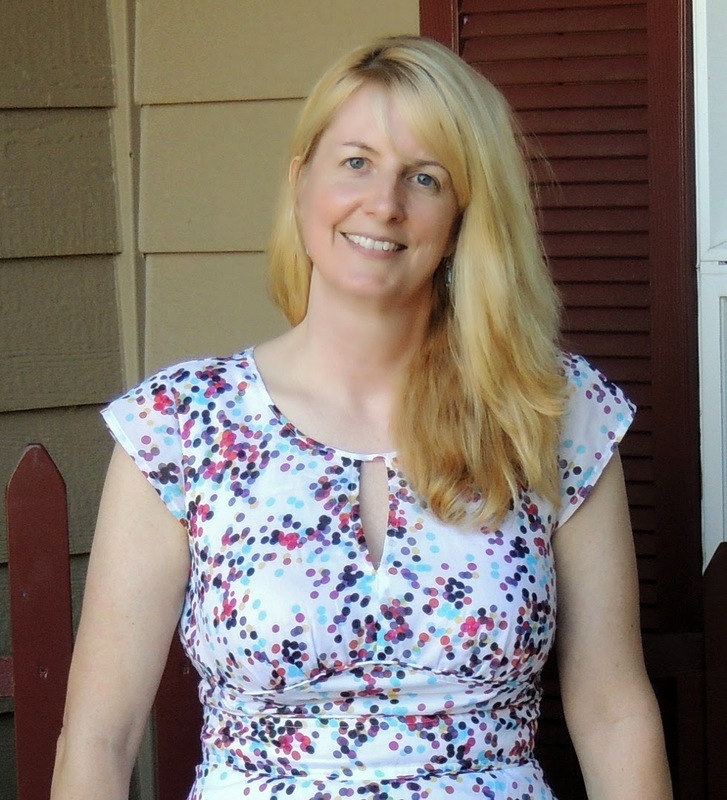 Thank you to eShakti for the opportunity to review this dress. If you'd like to check them out, head over to their website and use the code "teenmama" to get 10% off your order. I was provided this dress for review, but all opinions are my own. 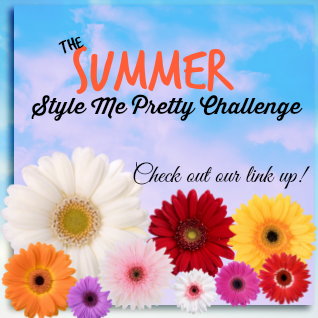 In other news, sadly this week marks the end of the Summer Style Me Challenge. Once again, I had so much fun wearing outfits that Alison picked out for me - one less thing to think about in the morning. 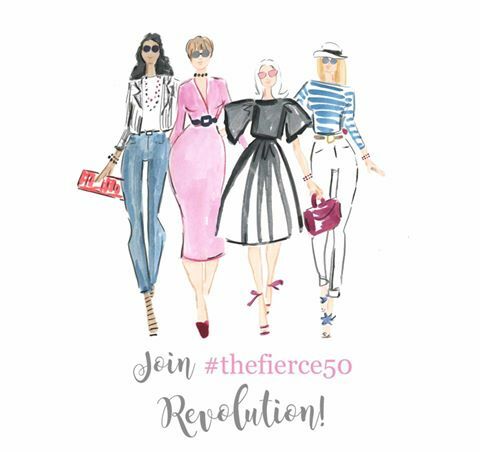 This time around even more women participated in the challenge, and it was wonderful to hop onto the facebook page and see how everyone was interpreting the outfits. Plus, I tried out a maxi skirt, a fedora, and a side ponytail - stepping outside my comfort zone! Guess I'll have to dress myself again until the Fall Challenge starts. I'm linking up today with these lovely ladies. Go check out what they wore for the last week of the challenge! That is a great dress, Lana! Thanks for the tip about eSkakti because I had not hear of them before. I'll have to check it out! Have a lovely day! You would look gorgeous in an eShakti dress! Beautiful dress! Looks so cute and comfortable! Thank you - it's very comfortable - always a plus! One of my favorite things about eShakti is that all of their dresses have pockets! You look amazing in your polka dot dress! Such a fun print! Thank you Jill. I love the pockets too! What a beautiful dress - and you look fabulous in it Lana! You wrote such a nice review, it has inspired me to go check out eShakti - even though I don't really even need a new dress right now. The dress is super cute. Love me some polka dots. Love the pic of you in many challenge pieces! See you in the fall for the next challenge! It was nice to meet you through the challenge. I will definitely see you in the fall! Love how you layered the pink and white shirts. I tried Shataki out once, but it didn't end up working and I had to pay shipping back plus some other fee, so it really sucked cause you were paying double for shipping. I was super annoyed...perhaps I should give them another try. Your shipping experience doesn't sound good - how frustrating! This dress looks great on you Lana, you look fab! That dress is perfect on you- the colors, the fit, the style, everything! And you look good in a fedora! Thanks Laura. Still trying to get used to the fedora! I'll take the following, please: that fedora...the dress...the shorts...the sandals...basically EVERYTHING. You're so sweet! Fedora and shorts are from Target - you know about the dress - not sure where I got the sandals! I love this beautiful polka dot dress - so cute with the multitude of fun colors! It fits you perfectly and I Love the pockets! Thank you so much Jennie. The pockets are my favorite too! I really enjoyed working with eShakti. Thank you so much! I'm sure you will love your eShakti dress! 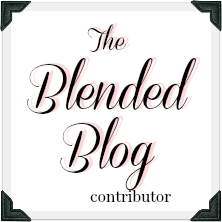 I just followed you on twitter, pinterest and bloglovin. Thanks for stopping by! How fun!!!!! I would never be able to decide on a dress but you did a darn good job. Love it! Thanks Deena. It was so hard to choose, but I'm happy with this one. That dress is so perfect on you. I love the keyhole opening in the neck and even better...the pockets! What in life isn't better without pockets? Thank you - I love the silhouette too. Can't wait to read your review! Thanks for sharing with Visible Monday, this is the perfect summer dress! I thought the polka dot pattern was very unexpected too. Thanks so much for the nice comment! Excellent job designing your eShakti dress! Pretty on you.